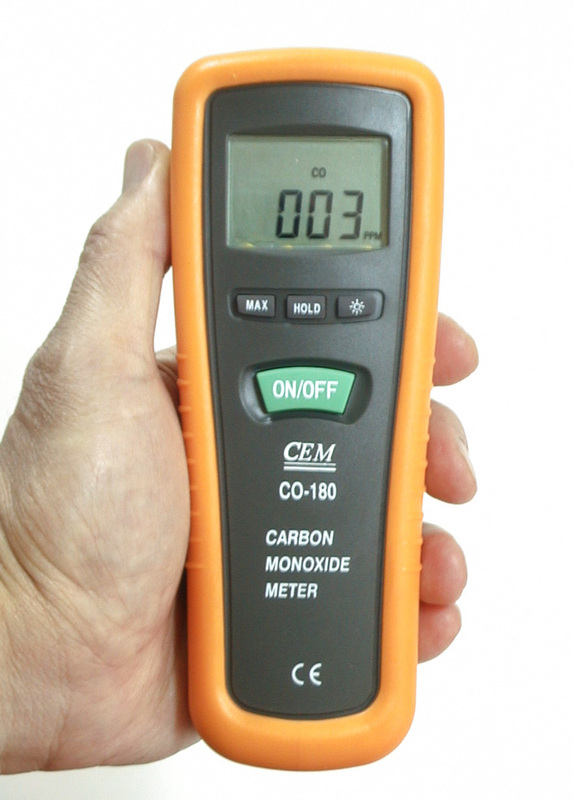 This is a certified Brand New Digital carbon monoxide (CO) meter. This meter is very easy to use. With a push of button, you can measure the level of carbon monoxide in seconds, with accuracy up to a few parts per million (PPM). This CEM CO-180 meter is similar to Fluke CO-220, which is retailed for $290+. This meter uses the latest electrochemical sensors and can react to ambient changes in carbon monoxide quickly. 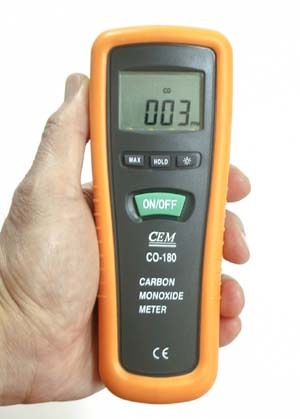 It's an ideal tool for measuring CO levels in industrial environments, commercial buildings, or residential dwellings. 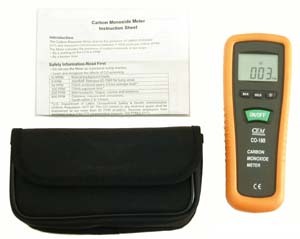 This unit not only shows the reading in LCD display, it also beeps when the CO concentration is over 35 PPM (the higher the CO level, the faster the beep). *** FREE *** Limited time only: A belt carrying pouch and a rubber holster are included for extra protection and convenience (as shown in the following photos). *** WARNING: THIS IS NOT A SAFETY MONITOR DEVICE. 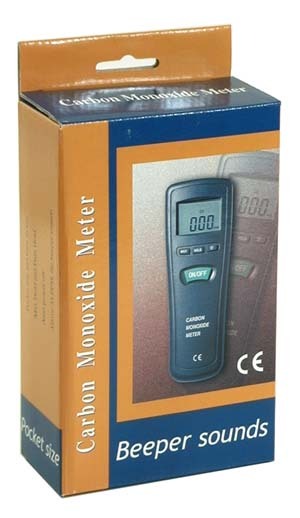 IT SHOULD NOT BE USED AS A CO (CARBON MONOXIDE) DETECTOR, SMOKE ALARM OR OTHER PERSONAL SAFETY ITEM. IT IS DESIGNED ONLY TO MEASURE THE CO CONCENTRATION AS SPECIFIED HEREUNDER. Resellers welcome. Contact us at sales@ruby-electronics.com for quantity discount. Our quantity is limited, so please act quickly.